Character beard and moustache sets. Assortment of styles. 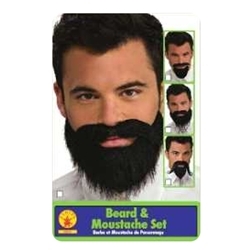 Includes one beard and moustache set.